Tim Barry likes to keep it simple. When he’s not making music, he lives in a shed without plumbing and with minimal electricity. His idea of a perfect weekend getaway is stowing away aboard a freight train and riding the rails hobo style. 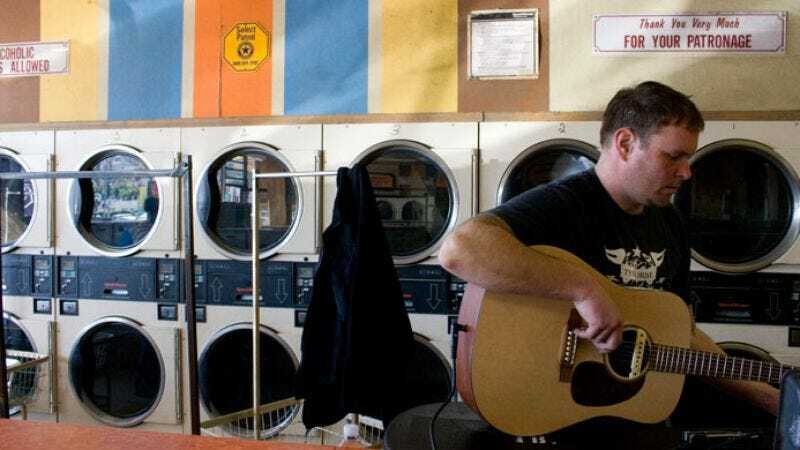 That simplicity is reflected in his music: The former Avail frontman traded the noise of a punk band for a career in straightforward storytelling folk. Unadorned tales of hard times and even harder characters fill out his third studio effort, 28th And Stonewall. The record lifts the shadow from Barry, one that so many get engulfed in making the crossover from punk to folk. He’s no longer a three-chord warrior dabbling with an acoustic, but a songwriter learning to master his craft and his genre’s history. In preparation for his show this Friday at 3 Kings Tavern, Barry spoke with The A.V. Club about life after punk.